2-Wire modules measure, record and guard all consumptions in a home or building. The measurement data can be accessed via web browser: real-time consumption, historical data, energy costs, energy efficiency… all these are directly displayed on the web pages of the web server. 2-Wire is the first step towards a more energy efficient home or building. MiLo makes the resident smart and thus the house becomes more economical. 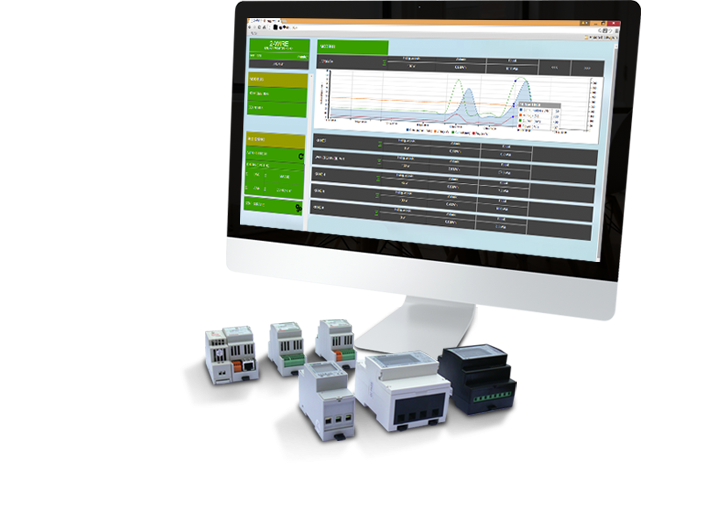 On every Web server up to 64 energy meters can be connected via Modbus. The visualization of the consumptions can be via the web server itself, or through an external application where even one or more web servers are displayed simultaneously. Understanding the consumption is the first step towards a more energy efficient building.